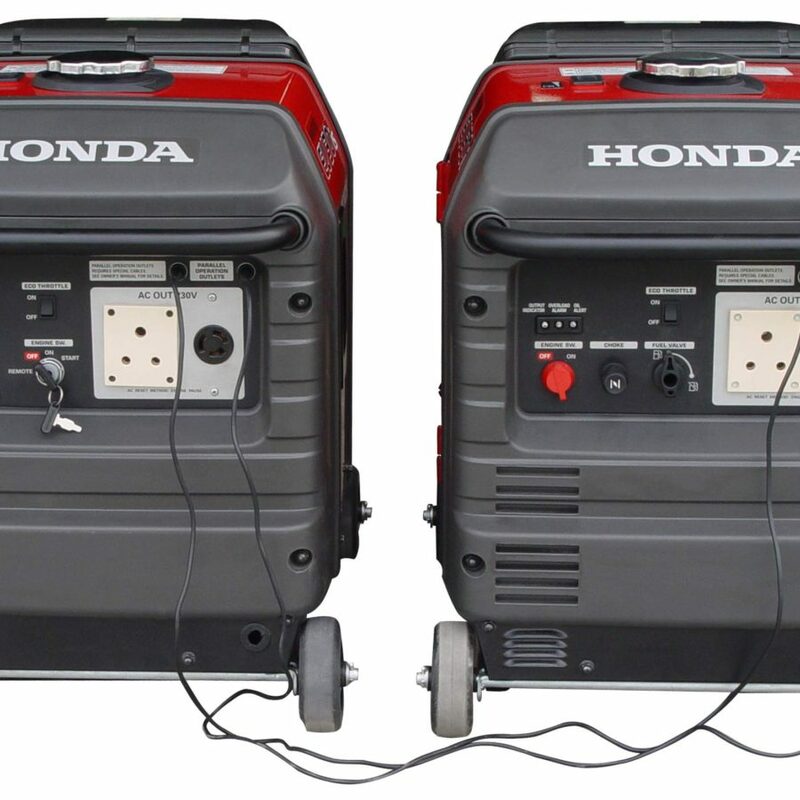 The Honda EU30is is a superb compact inverter generator that will power your medium sized home, recreational gear, or light industrial with ease! 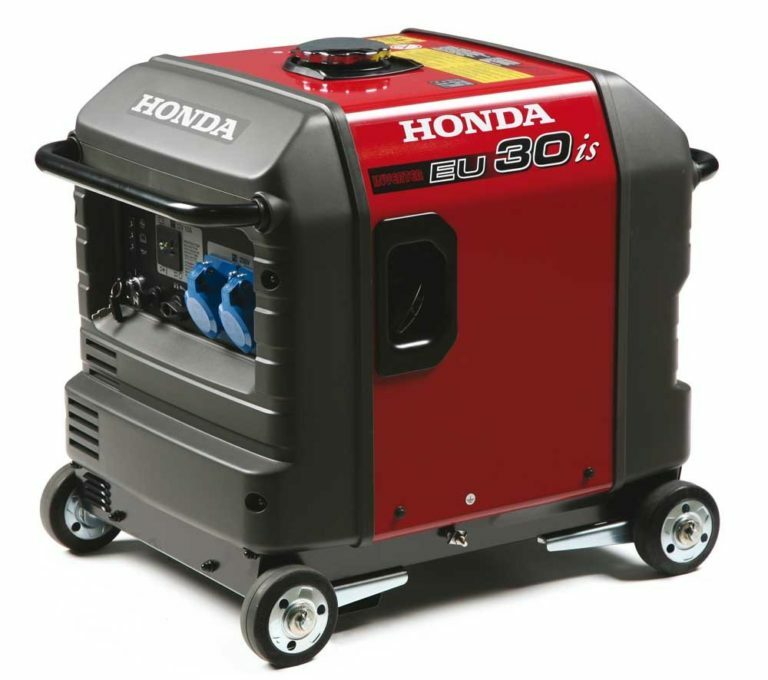 EU30is is a high-tech generator that provides clean and stable electricity for sensitive technical equipment. 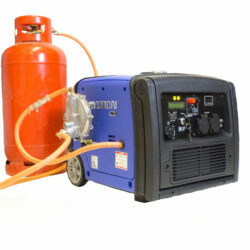 Need a compact inverter generator to power your medium sized home, recreational gear, or light industrial work? If so the Honda EU30is is for you! Pull it out of the box, add fuel, and fire it up quickly and effortlessly with the eclectic start. The Eco Throttle technology will automatically adjust the engine speed to match the power load in order to save fuel and engine life. 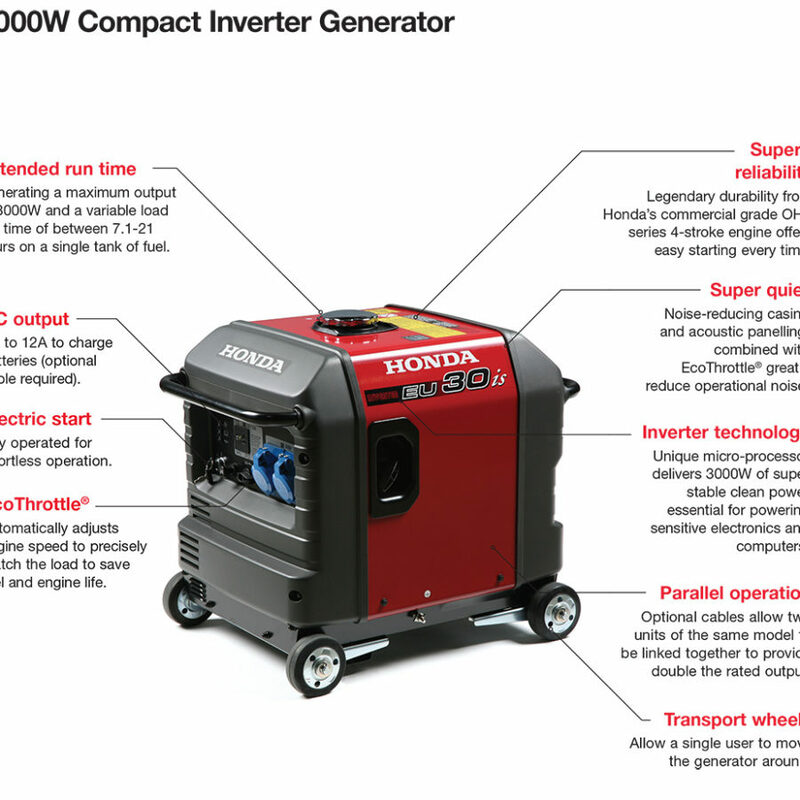 The inverter technology and GX200 engine enable the EU30is to run at a maximum output of 3000 watts for a variable run time of 7.1 to 21 hours on a single tank of fuel. The specially engineered noise-reducing casing and acoustic panelling allow the generator to operate on the verge of silence at just 49dB. 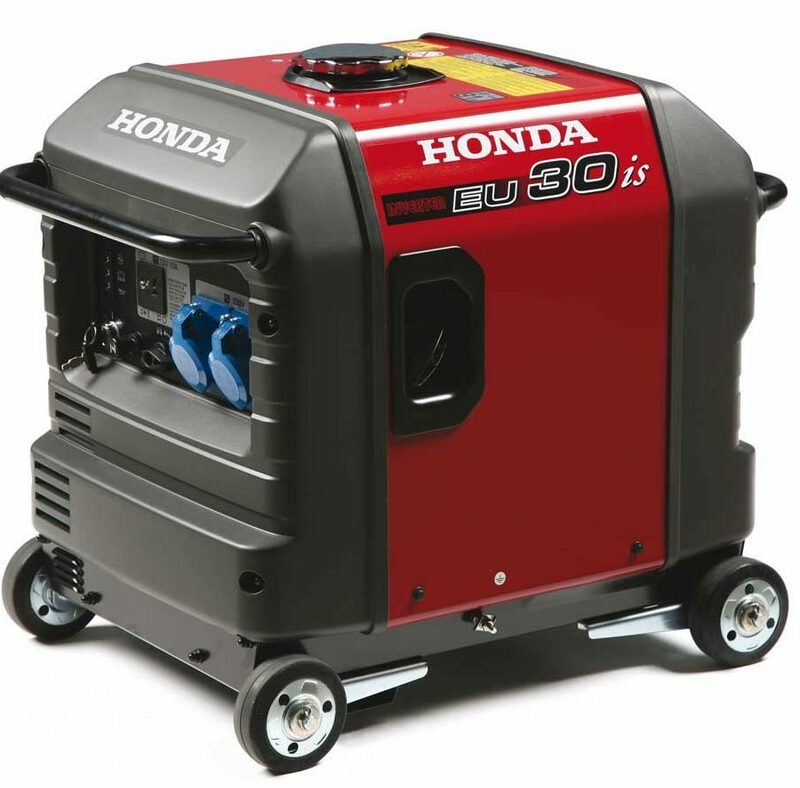 If you’re looking for a generator that is versatile and easy to use, the Honda EU30is is exactly what you need. The Hyundai HY9000LEk-2 is a heavy duty generator powered by an industrial 15hp 4-stroke petrol engine. It features a large 22 litre fuel tank and standard sockets with 110v and 230v outputs so that it is perfect for many leisure and commercial purposes. The portable Hyundai HY3200SEi-LPG is the biggest machine in Hyundai’s inverter generator class. 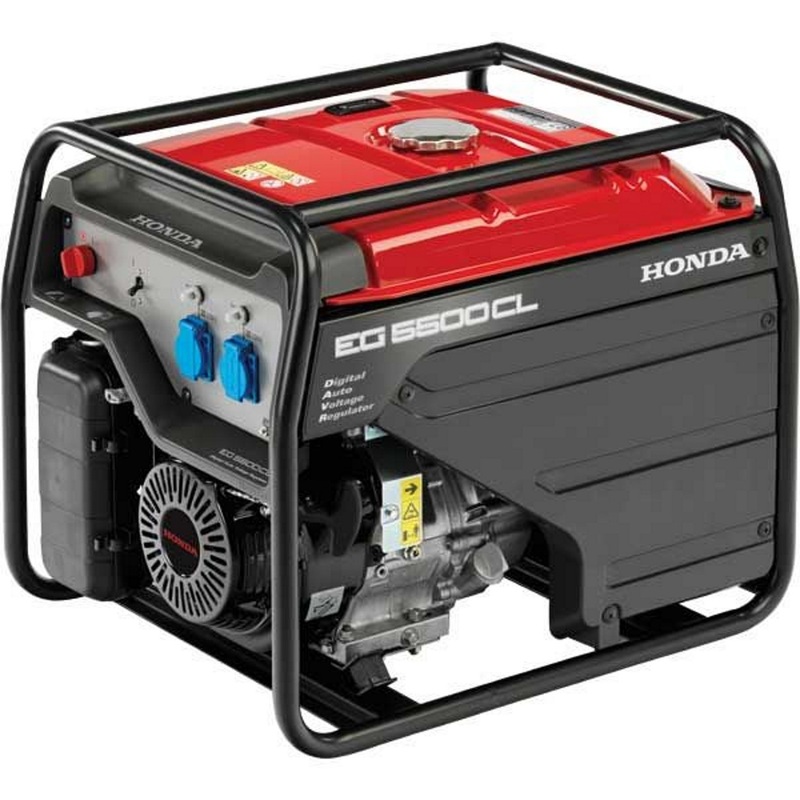 With a maximum output of 3200 watts, dual-fuel technology, and a weight of just 35kg, the HY3200SEi-LPG is one of the most powerful, portable, versatile, and practical generators in Hyundai’s lineup. The HY3200SEi is the largest petrol generator in Hyundai’s leisure lineup but remains compact enough to move it around with ease. Weighing just 35kg and producing a maximum power output of 3200 watts, there isn’t another generator on the market similar to the HY3200SEi.